On November 26 2018, I appeared on The David Duke Show for a program entitled, “Dr Duke & Andy Hitchcock – Issues – Border Apocalypse – Zionist Hypocrisy – Talmudic Revelations!” We discussed: how the crisis on the Mexican/USA border is continuing unabated; how Jewish leaders have now put forward plans to effectively censor the … Read moreNovember 26 2018 – The David Duke Show: Dr Duke & Andy Hitchcock – Issues – Border Apocalypse – Zionist Hypocrisy – Talmudic Revelations! On November 19 2018, I appeared on The David Duke Show for a program entitled, “Dr Duke & Andy Hitchcock – Thanksgiving Is As White As Is A White Christmas – Discovering Your Ancestry!” We discussed: how it is important to trace our own ancestry, whilst at the same time not to trust online DNA … Read moreNovember 19 2018 – The David Duke Show: Dr Duke & Andy Hitchcock – Thanksgiving Is As White As Is A White Christmas – Discovering Your Ancestry! On November 12 2018, I appeared on The David Duke Show for a program entitled, “Dr Duke & Andy Hitchcock Dissect Macron’s Globalist Attack On Nationalism & Jewish Zionist Traitors The Adelsons Get USA’s Highest Honor!” We discussed: the the importance of honoring our Veterans especially on Veterans Day today; President Trump’s recent visit to … Read moreNovember 12 2018 – The David Duke Show: Dr Duke & Andy Hitchcock Dissect Macron’s Globalist Attack On Nationalism & Jewish Zionist Traitors The Adelsons Get USA’s Highest Honor! 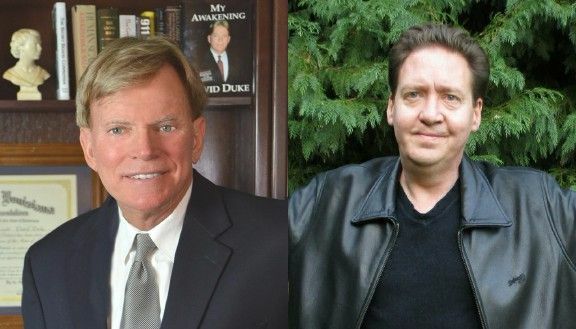 On October 30 2018, I appeared on The David Duke Show for a program entitled, “Dr Duke & Andy Hitchcock Of UK – Our Hero President Trump Says He Will Issue Executive Order Stopping Birthright Citizenship For Illegal Aliens!” We discussed: how the 1917 Balfour Declaration stated, “that nothing shall be done which may prejudice … Read moreOctober 30 2018 – The David Duke Show: Dr Duke & Andy Hitchcock Of UK – Our Hero President Trump Says He Will Issue Executive Order Stopping Birthright Citizenship For Illegal Aliens! On October 22 2018, I appeared on The David Duke Show for a program entitled, “Dr. Duke & Andy Hitchcock Of UK – President Trump Don’t Let the Zios Disgrace You By Supporting The Saudi Terrorists & Honoring The Life Of The Great Dr. Robert Faurisson!” We discussed: how the Zio-Media is claiming President Trump … Read moreOctober 22 2018 – The David Duke Show: Dr. Duke & Andy Hitchcock Of UK – President Trump Don’t Let the Zios Disgrace You By Supporting The Saudi Terrorists & Honoring The Life Of The Great Dr. Robert Faurisson! On October 15 2018, I appeared on The David Duke Show for a program entitled, “Dr. Duke & Andy Hitchcock Of The UK Discuss Zio First Man Movie Anti American Anti White Hate Flick & Why The Big Deal Over Khashoggi Murder When Saudis & Israel Did 911!” We discussed: the recent defeat of Angela … Read moreOctober 15 2018 – The David Duke Show: Dr. Duke & Andy Hitchcock Of The UK Discuss Zio First Man Movie Anti American Anti White Hate Flick & Why The Big Deal Over Khashoggi Murder When Saudis & Israel Did 911! On October 8 2018, I appeared on The David Duke Show for a program entitled, “Dr Duke & Andy Hitchcock Of UK Dissect The Judeo-Too Movement And The All Out Zio War To Destroy Our People!” We discussed: the Kavanaugh fiasco and how the #MeToo movement the Jewish Elite used to destroy his reputation, could … Read moreOctober 8 2018 – The David Duke Show: Dr Duke & Andy Hitchcock Of UK Dissect The Judeo-Too Movement And The All Out Zio War To Destroy Our People! 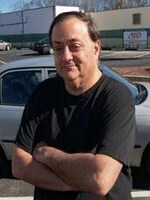 On October 1 2018, I appeared on The David Duke Show for a program entitled, “Dr Duke & Andy Hitchcock On The Sick Conservative Treason Of The Kavanaugh Hearing & The Zio Traitors Who Control The Media And Government Of America!” We discussed: the character assassination of Brett Kavanaugh, and how the upshot of this … Read moreOctober 1 2018 – The David Duke Show: Dr Duke & Andy Hitchcock On The Sick Conservative Treason Of The Kavanaugh Hearing & The Zio Traitors Who Control The Media And Government Of America!